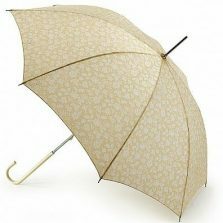 Introducing this fantastic cream wedding umbrella. From our GiGi pagoda range, perfect for the beautiful bride to be or the brilliant bridesmaids! 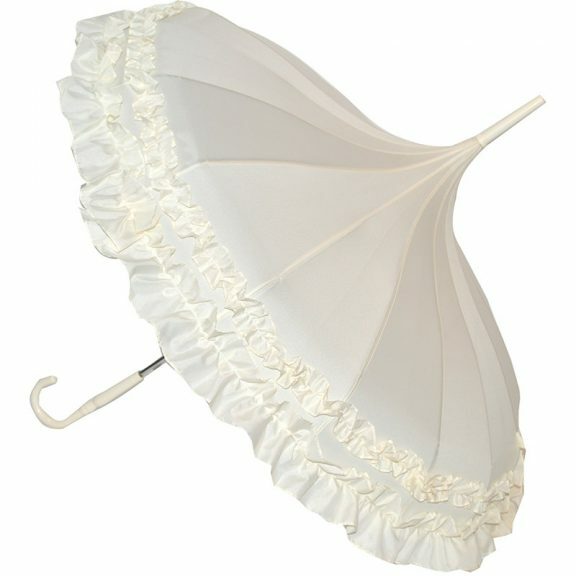 Truly a fantastic frilled umbrella, great for any occasion! 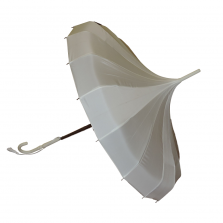 This cream wedding umbrella will really make your special day all that more special. Also keeping you safe and dry should the weather turn sour! 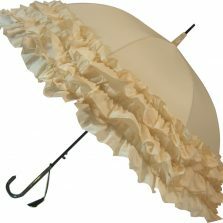 Classic Pagoda Umbrella with sumptuous double frill around the edge. 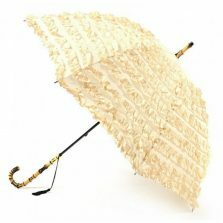 Beautifully made 16 panel ladies frilly pagoda umbrella. Featuring 16 metal ribs with rounded metal tips attached to a black metal frame. Elegant black moulded crook handle and tassel. Also features manual opening with an overall length of 86 cm and a canopy 87 cm wide. Not the umbrella for you? Check out the rest of our quality wedding umbrellas!